Fritz Maytag once said something along the lines of "don't tell me that good beer can be made at an ugly brewery." His former brewery, Anchor Brewing, in San Francisco, is a beautiful edifice; as is Brewery Ommegang— in the foothills of upstate New York, near Cooperstown, the site of the Baseball Hall of Fame. All breweries should be so lovely. These photos were taken in July 2007 at the Belgium Comes To Cooperstown Festival, a camp-out and festival held annually on the brewery grounds. This year's festival occurs this weekend. Ommegang, roughly pronounced: OH muh gong. From Wikipedia: Ommegang (Dutch: "walk around (the church)" is the generic name for various medieval pageants celebrated in Belgium, in the Netherlands, and in northern France. A famous one is celebrated every July in Brussels, Belgium. It commemorates the "Joyous Entry" of Emperor Charles V into Brussels in 1549. More photos from 2007: here. Three quick links for a summer edition of VeggieDag Thursday. How to grill corn? ... Just grill it, baby! From Mark Bittman at the New York Times, with suggestions for 4 sauces (other than salt and butter). Personally, I love the charred, popcorn-like flavor that corn gets when it’s exposed directly to the flame, so I grill my corn out of the husk and until it’s browned — really browned — in a few places; as it happens, this usually leaves other parts bright yellow. Not only is this super-easy but it results in the kind of flavor I associate with the crunchy street corn of Mexico. The tomatillos broiled quickly in the toaster oven, and had a citrusy tang of their own before we even added the lime juice. The resulting salsa jazzed up our roasted corn, pepper & bean burritos that night, and our veggie burgers the next night. There seems to be another 'gourmet' pizza parlor opening every other day in the Washington, D.C. area. What should one look for in a good pizza pie? From Ed Levine, the author of Pizza: A Slice of Heaven —a 3-step lesson, it's the crust, the mozzarella, and the sauce. The superior pizza crust is neither cracker-thin nor thick as bread. It should have a veneer of crispness and be softer and more tender on the inside. A great pizza crust should have browned and blackened char spots. They lend a needed bit of smoky flavor. The interior of the crust should have the hole structure of well-made and well-baked bread. For the cheese Fior di latte —fresh cow's milk mozzarella— and for the sauce, uncooked canned tomatoes —from either California or Italy— strained and seasoned with salt and maybe some oregano. While you’re trying to “one-up” your competition by using the newest barley strain, the newest grain(s), the highest peat level, the newest type of wood, the most distillations, the oldest whisky, the fanciest packaging, the most esoteric wine barrel, etc., please remember that all we really care about is that your whisky tastes good. And that it is fairly priced. "think about substituting “brewers” for “distillers” and “beer” for “whisky” throughout!" Keep it DYBTG: does your beer taste good? What follows depends upon that. FollowFriday on Twitter. 4 British beer Twits: @MelissaCole, @TonyJerome, @MarkDredge, @Tandleman. See a brewer at work, and she or he will probably be wearing rubber boots: waterproof totems of the profession. Brewers at small local breweries often get together to discuss brewing techniques, swap tall tales, and sample each others' wares. They'll call this informal session a Rubber Boots Society: a competitive atmosphere, but leavened with bonhomie. Displaying his golden couture, here's Mike McCarthy, executive brewer for Capitol City Brewing Company, at the brewpub's 9th annual Oktoberfest in the village at Shirlington in Arlington, Virginia, on 4 October 2008. FollowFriday on Twitter. My short list of Marylanders who Twitter about beer: @Cizauskas/beer-maryland. To not conflict with DC Restaurant Week, DC Beer Week has been moved to 22- 28 August. No new website yet. On Twitter @DCBeerWeek. Room for more beer education. Overheard from a bartender to a customer: "It's cask ale. Barely carbonated and served room temperature." No! Joe Stange is an ex-pat American who had been based for several years in Belgium. While there, he co-authored the wonderful Around Brussels in 80 Beers. He has since re-located to Costa Rica. I know that brewers have been getting very creative. I know they've been doing some very wild and innovative things. I also know that sometimes these things have been very alcoholic and expensively done and bottled and priced accordingly. And you know what? We're not interested. That's not for us. I'll be looking for beer with that winning combination of great drinkability and great character. Sessionability is not strictly required but will receive bonus points. Exorbitant prices will not be punished, but simply avoided. Last week Stange was in my corner of the beer world, Washington, D.C. He stopped into a locally respected beer-centric restaurant, Pizzeria Paradiso, where he found a "nominee", the Bitter American from 21st Amendment Brewery in San Francisco, California. Full of zesty hop flavor and aroma, dry and sessionable, with enough malt backbone for balance but checking in at a svelte 3.6 percent strength. Inspiring, nearly perfect, and handpicked by 1-year-olds everywhere for thirsty dads. Especially those throwing down sausage-and-peppers pies at Pizzeria Paradiso on this sultry DC afternoon. Stange was with his infant son, so a 'small' beer was advisable. Washington, D.C. has been in the grips of a swampy summer heat wave, so a thirst-quenching beer —what others might disparagingly call a 'lawn-mower' beer— was a palliative. Bitter American is only 3.6% alcohol by volume (abv) but, as Stange tasted, full of flavor. There was no need for a North American industrial lager, such as a Budweiser or Coors or Miller, each at or about 5% abv, but of much less flavor. Alcohol and flavor are not synonymous. Belgium, Costa Rica, Washington, D.C., San Francisco: Mr. Stange's quest continues, cross-pollinated, at his blog, Thirsty Pilgrim. Beers of lower alcoholic strength, but not necessarily of lower flavor, are often referred to as session beers: one can drink a couple of these at a session without courting over-indulgence. In reaction to the current surfeit of 'extreme' American craft beer of high alcoholic strength, a guerrilla moment is developing for more session beers. There's even a website devoted to this topic: Lew Bryson's The Session Beer Project. 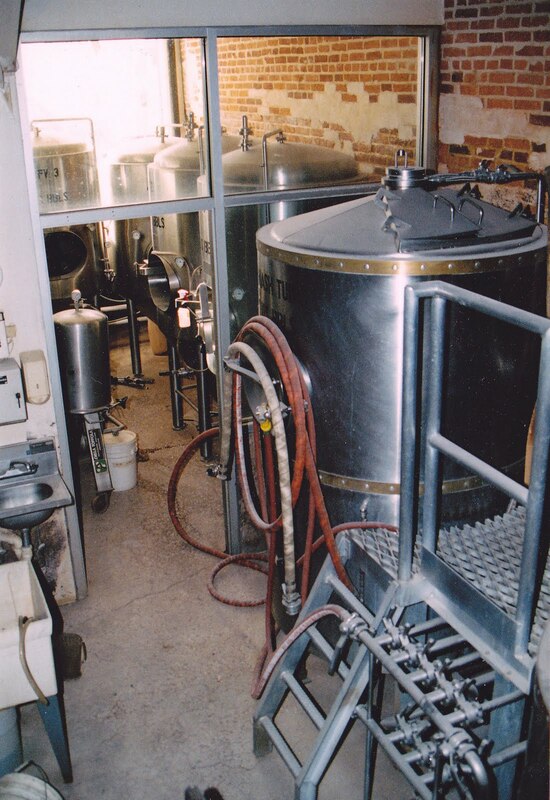 Sisson's Restaurant & Brewery was the first brewpub to operate in Maryland after the repeal of Prohibition —some 56 years earlier— when an 8-barrel brewhouse was installed in the Baltimore, Maryland pub 1989. Sisson's had originally opened as a non-brewing pub in 1979; it was sold and remodeled as Ryleigh's Oyster in 2002; the brewing equipment was removed and shipped to a brewery in West Virginia in 2005. 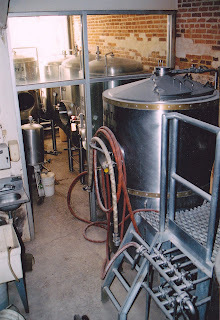 Here, in this photo, the brewhouse sits idle. Sisson's small size belied its influence. Its general manager, Hugh Sisson, would successfully lobby the Maryland Assembly (with the able assistance of a Baltimore City representative) to permit the legal existence of brewpubs in the state. Others would soon follow his lead in Virginia and the District of Columbia. Sisson would later found Clipper City Brewing Company, now known as Heavy Seas. 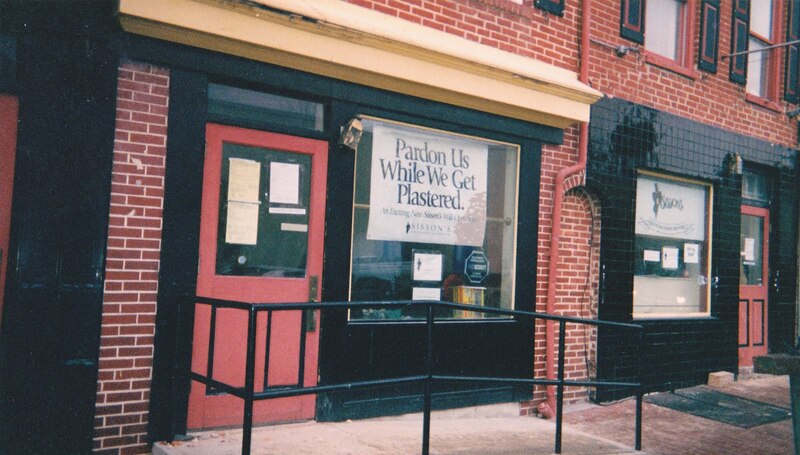 These photos were taken in November of 2000, just after the Sisson family had sold its remaining stake in the pub. Celebrate Belgian Independence Day, in Washington, D.C.
Saturday, July 17th: Mussels Throwdown at Belga Café – As part of their week-long Belgian National Day Celebration, Chefs Bart Vandaele of Belga Café, Robert Wiedmaier of Brasserie Beck, and Claudio Pirollo of Et Voila! will throw down for the "Master of Mussels" crown. The competition will be judged by some of DC's finest foodies. 202-544-0100 for reservation info. Noon to 2pm. Sunday, July 18th: St. Arnoldus Day at ChurchKey – Featuring Four Delicious Belgian Drafts. Beginning at 4pm, ChurchKey will celebrate the Patron Saint of Brewing--St. Arnoldus--by featuring four classic Belgian Ales and giving away some gorgeous Belgian glassware. Beers will be priced individually in 4oz and full glass pours. 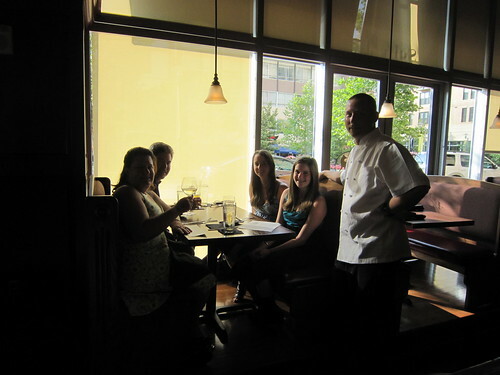 202-567-2576 or www.churchkeydc.com. Sunday, July 18th: Non-Traditional Waffle Brunches at Belga Café, Brasserie Beck, Et Voila – As part of their week-long Belgian National Day Celebration, each of the Belgian National Day Celebration restaurants will hold brunches featuring "non-traditional" Belgian Waffle dishes. Drop in or call the restaurant for reservations. 11:30am-3pm. 202-544-0100 or www.belgacafe.com. Monday, July 19th: ChurchKey Celebrates Belgian Independence Day with Rodenbach Classic and Palm Speciale – ChurchKey will be pouring Rodenbach Classic and Palm Speciale on Draft in honor of Belgian Independence Day. Come and celebrate this great nation and its wonderful brewing tradition. Free Rodenbach glassware beginning at 6pm. 202-567-2576. Monday, July 19th: Mussels from Brussels at Brasserie Beck – As part of their week-long Belgian National Day Celebration, Brasserie Beck will feature a special three-course menu highlighting mussel creations from Chefs Vandaele, Wiedmaier and Pirollo. 5-11pm. Drop in or call for reservations. 202-408-1717 or www.beckdc.com. This listing of events courtesy Hop Tips at Mid-Atlantic Brewing News. The column can be received as an email bulletin: here. 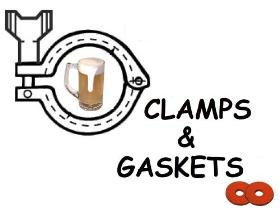 One invaluable source for information on Belgium and its beers, read Belgian Beer & Travel, the blog of Baltimore, Maryland-based beer writer Chuck Cook. The muggy weather broke (a bit) this week, but it's still beastly hot. 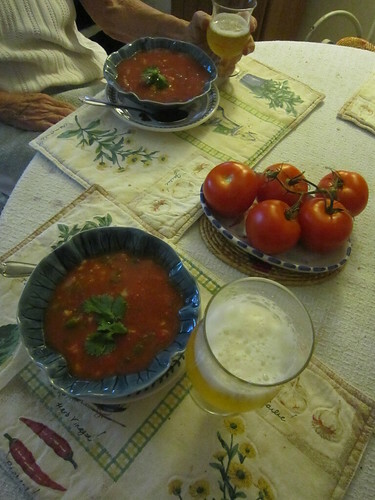 Gazpacho can be the summer anodyne: spicy, chilled tomato vegetable soup. Make it from scratch, or 'cheat' and use store-bought tomato juice as the base liquid. The keys are to buy good, low-sodium juice (you can always add salt if you need to) and, of course, fresh vegetables. Slice 3 or 4 garlic cloves lengthwise, making thin crescent-shaped slices. Roast at 400* F for 15 minutes for a firm texture or 20-30 minutes for a softer texture. Remove and discard the husk from a corn cob. Boil the cob for 5 minutes, just covered in water. Reserve the corn water. Allow corn to cool; then slice kernels from cob. Remove and discard the husk from the tomatillo. Gently scrub the outside of the fruit to remove the sticky residue. Dice. Slice the jalapeño in half lengthwise, scrape out the seeds, and discard. Chop. (I use latex gloves to keep the pepper oil off of my fingers.) Two jalapeños for a spicier soup. Chop the bell peppers, tomato, cucumber, onion, cilantro. Add chopped vegetables, garlic, onions, and corn to the tomato juice. Stir. Remove 1/3 of mixture and blend. Mix the puree back into the soup. Add lemon juice, vinegar, and Worcestershire sauce to taste. (Less is better; you can always add more later.) Mix into soup with olive oil. Mix (not blend) well. Cover and place in refrigerator to cool for a couple of hours or overnight. Serve topped with a sprig of cilantro, and accompanied with a nice cold glass of Witbier. on an animal-free diet and envfironment and ecological issues. #FollowFriday on Twitter: Spot good beer in Virginia? Use the hashmark #VAbeer. In Maryland: #MDbeer. In DC: #DCBrews. July 8th: Catholic feast-day of St. Arnold of Soissons, the patron saint of hop-pickers & brewers. DC Beer Week 2010 announces August 16-22 dates. On Twitter: @DCBeerWeek. Website with more details to follow soon. It was the 'fall' edition of the Northern Virginia Brewfest, held at Bull Run Regional Park, October 24th and 25th, 2009. Gusty winds, rain squalls, and colder temps in the later afternoon kept attendance low on Saturday, the first day of the event. Not so for these festival go-ers, who braved the rain, and saved their shoes from the ankle-deep mud by going barefoot. Ronald Neame died in June at age 99. He was a film director of many films. Several achieved critical acclaim, including Tunes of Glory and The Prime of Miss Jean Brodie. His greatest box office success —which he referred to as "just an ordinary, run-of-the-mill action picture"— was The Poseidon Adventure. Mr. Neame leaves a legacy in film, and a legacy of living life well. Good fermentables for life. The Session is a monthly event for the beer blogging community begun by Stan Hieronymus at Appellation Beer, and co-moderated with Jay Brooks at the Brookston Beer Bulletin. On the first Friday of each month, an inviteded blogger hosts The Session, chooses a specific, beer-related topic, invites all bloggers to write on it, and posts a roundup of all the responses received. As demonstrated in prior Sessions, topics typically come from the host's area of passion – something they have a strong affinity towards. For Tom and me, the real pathway in our appreciation of Craft Beer has been through the hobby of homebrewing. <...> In the end, it wasn't until we got a little friendly nudging by Stan and Jay that our topic for the 41st Session coalesced. The chosen topic: Craft Beers Inspired By Homebrewing. How has homebrewing had an affect on the commercial beer we have all come to love? "What's the spice," I asked the bartender, unable to identify a subtle background flavor in the pint of Midnight Sun Porter I was drinking. The beer had traveled to this pub in Alexandria, Virginia, from the Williams Brothers Brewery in Scotland, a voyage over land and sea of some 3,500 miles. It had been shipped in a firkin (a 10.8 US gallon cask). Live yeast within —from the fermentation— had provided a measure of protection against staling and infection. At the pub, the seal was broken, and the beer was hand pumped from the cask, pint by pint. It was remarkably fresh-tasting, more so than it may have been in a bottle or keg. Dark dark brown, creamy, with an off-beige head of foam, a not-so-bitter roastiness, toasty, toffee-like, herbal, with whiffs of licorice and dark berry fruit, ... and what was that spice? Ahh, it was ginger root, a small amount of which had been infused in the wort. A lady of Gaelic descent came into the Williams owned homebrew shop in Partick, bearing a translation of a 17th century recipe for 'Leanne Fraoch' (Heather Ale), Inherited from her Gaelic family. It was her goal to try to recreate recipe made famous by the old legend of the Pictish king who supposedly threw himself off a cliff after the English king captured & tortured his son in an attempt to coax the recipe from the Pict King. 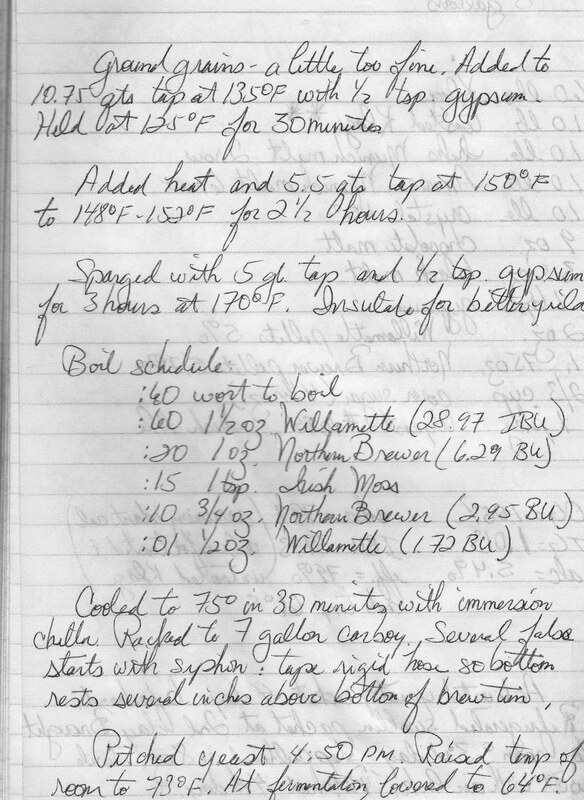 This translated recipe was developed in homebrew size quantities by shop owner Bruce Williams to the recipe that is used today. The brothers began their professional career on a very small scale; their brewery's capacity, and roster of beers, grew in stages. Finally, in the mid 2000s, they moved into the "New Alloa Brewery at Kelliebank, Alloa, where [they] are the last remaining brewery in the old Scottish brew capital." In the early 1990s, a former tech industry executive in the US was casting about for a new venture. He knew little about the beer business, except that he liked beer, especially beers from the UK. So, he thought, "why not?" He researched the business, and, with his wife, founded an artisinal-beer import company. Soon thereafter, the duo met the charismatic Bruce Williams. They were quickly convinced to import Williams' "Historic Beers of Scotland." A substantial segment of the brewery's growth would be derived from those US sales, and the import business would grow as well, exponentially, and include a distribution arm in the state of Maryland. Just this past April, Patrick and Sherri Casey sold their company, Legends, Ltd., and retired. Drinking the Williams' porter, I thought back to how a homebrewed porter had played a role in my professional 'craft' brewing career. 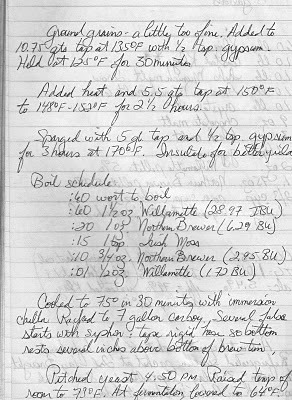 I began brewing at home in the late 1980s, encouraged by my younger brother, initially 'educated' by Charlie Papazian's Joy of Homebrewing, and patiently assisted by a good friend. In 1992, I entered a batch of porter in the Spirit of Free Beer, a contest organized by B.U.R.P. —Brewers United for Real Potables— a Washington, D.C. area home brew club. The recipe was not complex —especially as contrasted with today's so-called 'extreme' beers of high alcoholic strength and exotic procedures— but, at 5.5% alcohol by volume, the porter was flavorful enough to garner a silver medal. That simple success got me hooked. 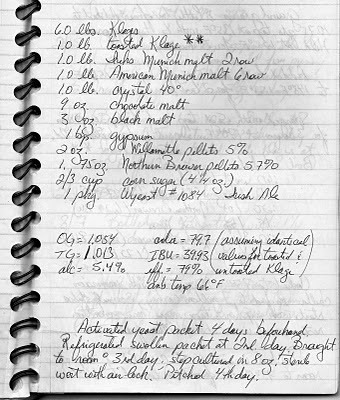 A year after the contest, I enrolled at the Siebel Institute to study zymurgy (beer-making). A few months after that, I apprenticed at the Oxford Brewing Company, then near Baltimore, Maryland. From there, I would go on to brew at several other breweries, opening two, and owning one. Good brewing insinuates itself into one's soul. "Another one of those tasty porters, please," I asked the bartender.